So, Donald J Trump has won the US elections. Here’s what we’d have liked to have been able to write today: “The United States will have its first woman president – instead of the first president for years who refused to publish his tax returns; whose business affairs consistently demonstrate an affinity for tax manipulation and financial opacity; whose tax policy proposals imply a deepening of income inequality, and an acceleration of the race to the bottom in the taxation of multinational companies.” But instead we’re preparing to track the implications of Donald Trump’s election victory over the coming weeks and months in the various fields of importance to the global tax justice agenda. 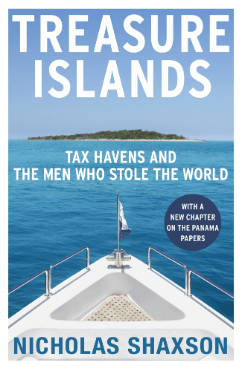 As our own Nick Shaxson reflects below, Trump has repeatedly spoken of his commitment to end the era of tax havens, but without any specifics of how he intends to do that. But now there’s a whole administration to help achieve any given aim. And the range of inconsistencies in the campaign’s tax plans will now have to be ironed out, if practical steps are to be taken. We await a full breakdown of the polling, but the suggestion is that some of the most disadvantaged people may have been persuaded to turn against other disadvantaged groups and to vote against their own interests. 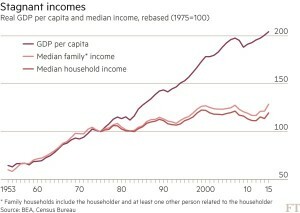 Inequality and precarity have soared in the United States, as in many other developed economies. With only a weak alternative vision for the necessary reforms, this has created an environment where playing on voters’ fears and desperation was like shooting fish in a barrel for Donald Trump. “The Brexit vote was, in the end, about globalisation. The hottest issue was immigration, which is, as Professor John van Reenen of the London School of Economics points out, ‘globalisation made flesh’. But behind the vote we can also discern a powerful role played by tax havens, the dark twisted souls of financial globalisation.